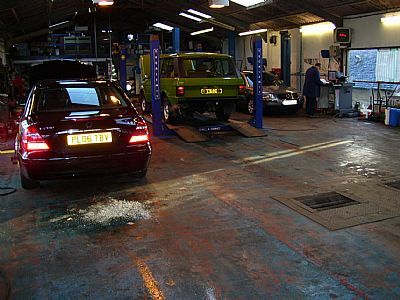 Stewarts Garage (Dunoon) Ltd - Repairs, MOT Tests, Servicing, 24hr Breakdown & Recovery, Bodyshop, Air Con Recharge. 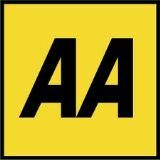 Stewarts Garage is a friendly, family run garage providing a full range of services, from car and van repairs, MOTs& Servicing, 24hr breakdown and recovery, Air Con Recharge,and Bodyshop Services. 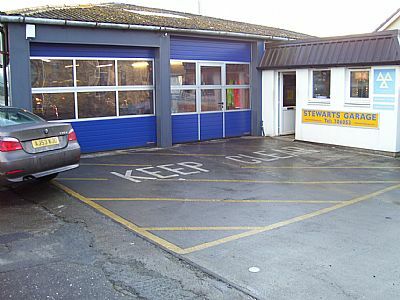 Established in 1982, Stewarts Garage has gained a reputation for reliable and high quality service in Argyll. As the reputation of the garage has grown over the past 36 years, so has the range of services Stewarts Garage can provide. And then came the day Billy and Alan decided to retire. So in March 2018, Mother and Son partnership took over with the dermination to maintain the good standards set by the previous owners. Sinclair and Lorna Stewart (sheer coincidence, no relations) hope to move the business forward adopting the changes necessary in a fast moving world. Make up your own mind. Pop in and see us. Click on our guestbook to view what you, the customers have to say about us over the years and the range of high quality services that provide all our customers with peace of mind. Please feel free to add your comments.